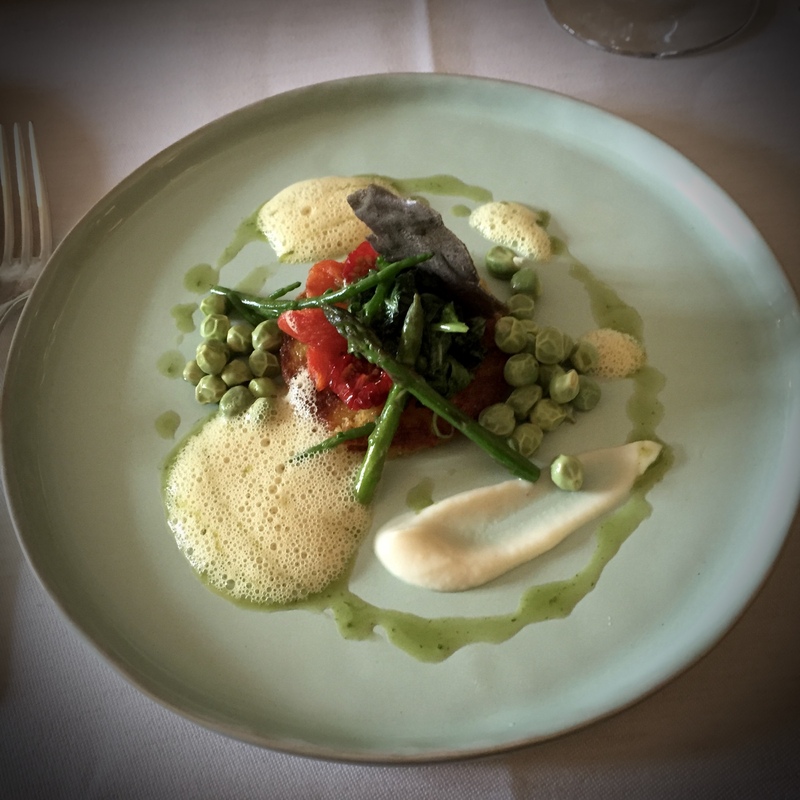 As part of the Dining with the Stars restaurant week in June, we also had lunch at Restaurant Kasteel Heemstede in Houten. Pretty impressive sight at the end of a big entranceway. The entrance of the restaurant is on “castle pond level” below the main entrance. 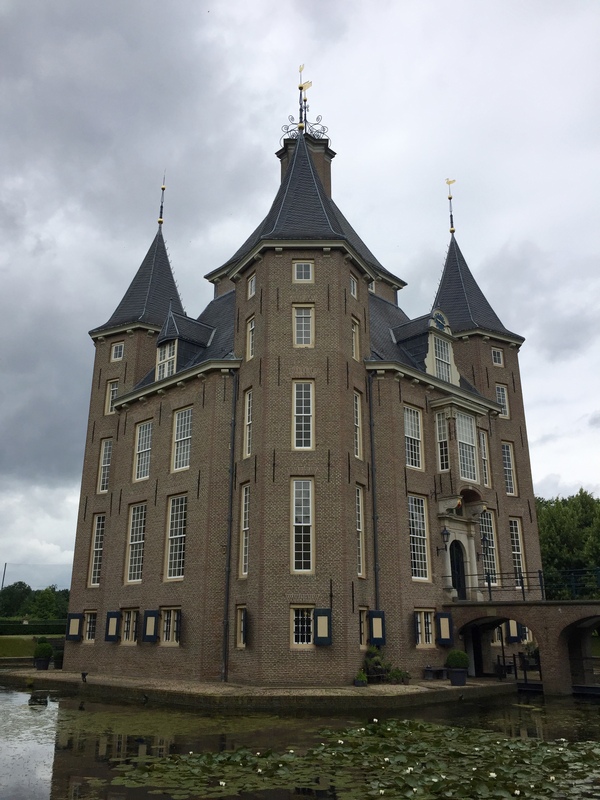 The original building is from 1645 and functioned as a luxury country house for the nobility. After it burned down in January 1987, a number of new owners tried to start renovations, but were ultimately not able to finance them. Phanos, a construction company, bought the monumental castle and completed the 4 year renovations in 2002 after which it became their HQ. As part of these renovations, the souterrain was designated for a high-end restaurant. 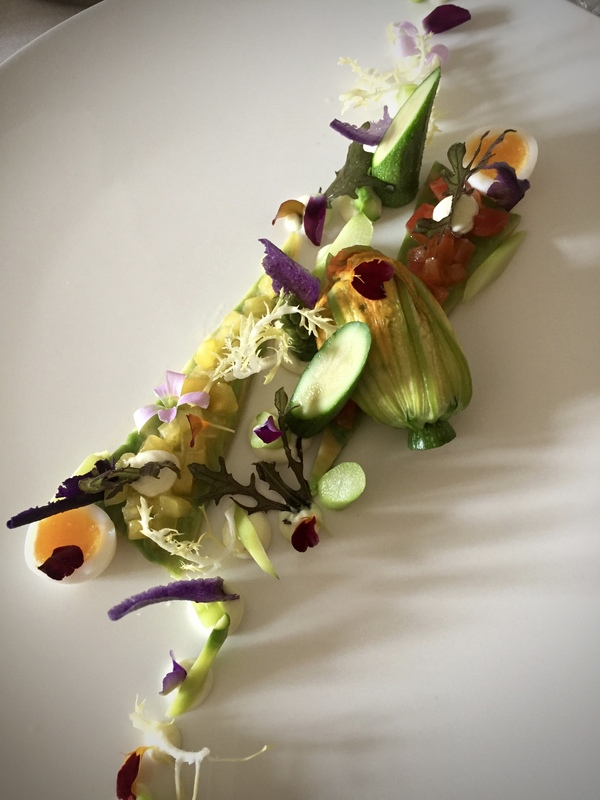 The owner and head chef of Restaurant Kasteel Heemstede is André van Doorn (member of Les Patrons Cuisiniers) and it was awarded a Michelin star already in 2003 and kept until 2008. The restaurant got their Michelin star back in 2011. 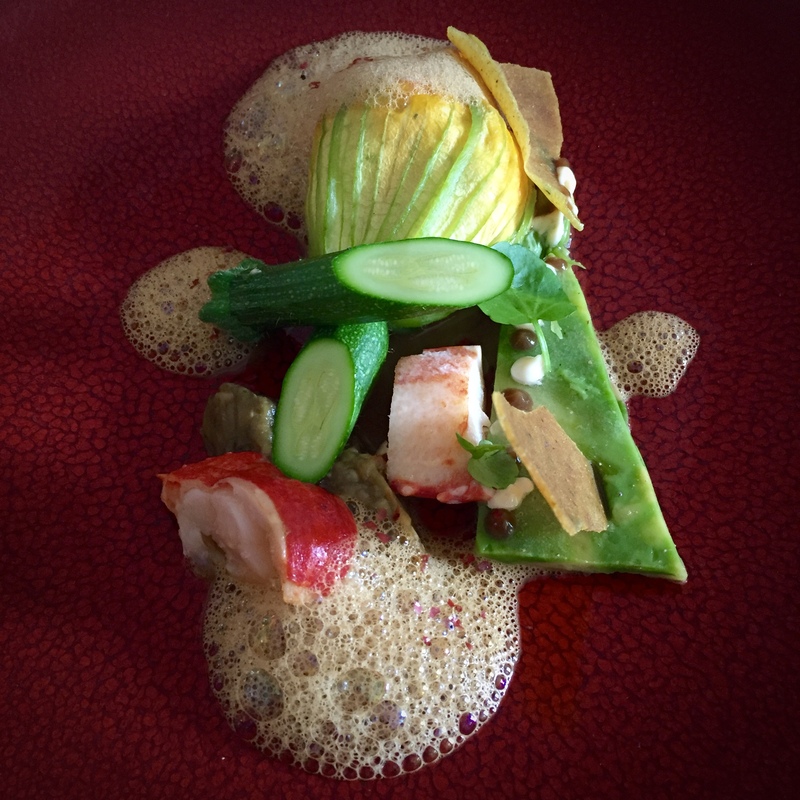 In 2013 GaultMillau awarded the restaurant with 16 (out of 20) points. 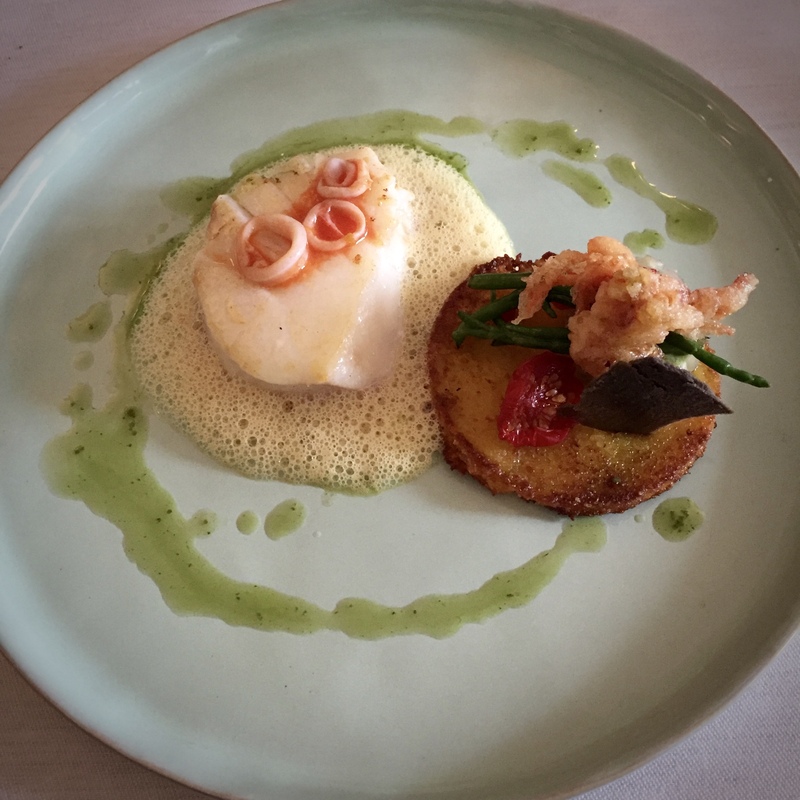 Their cuisine can be described as classic French, with their seasonal menu changing every 2 months or so. We had a splendid 4 course surprise menu with some interesting wine pairings. Especially the vegetables were kept very pure, barely touched with (novel) preparations, so the ingredients were bursting with flavour on their own; we really liked that aspect. Also we really savoured all components of the dessert. Really delicious stuff! 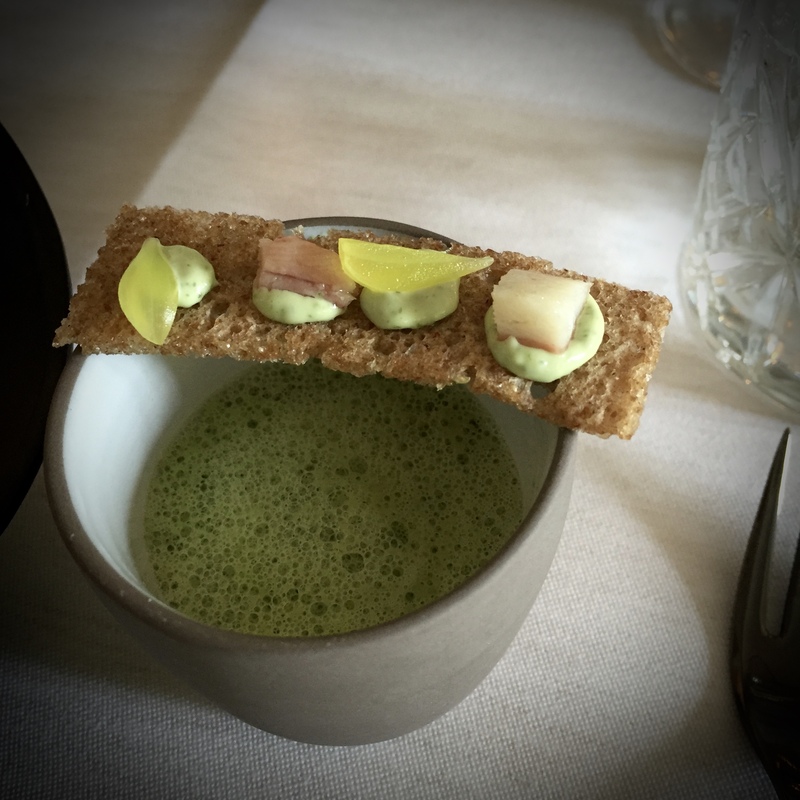 Some small mistakes (accidentally serving Chantal the amuse with smoked eel and a rather big piece of lobster shell that was overlooked when plating), but overall the service was good and friendly: a mix between experienced waiters and novices which had its charm. The 4 course lunch menu set us back EUR 155, including a glass of champagne as aperitif and wine pairings (half glasses for both).